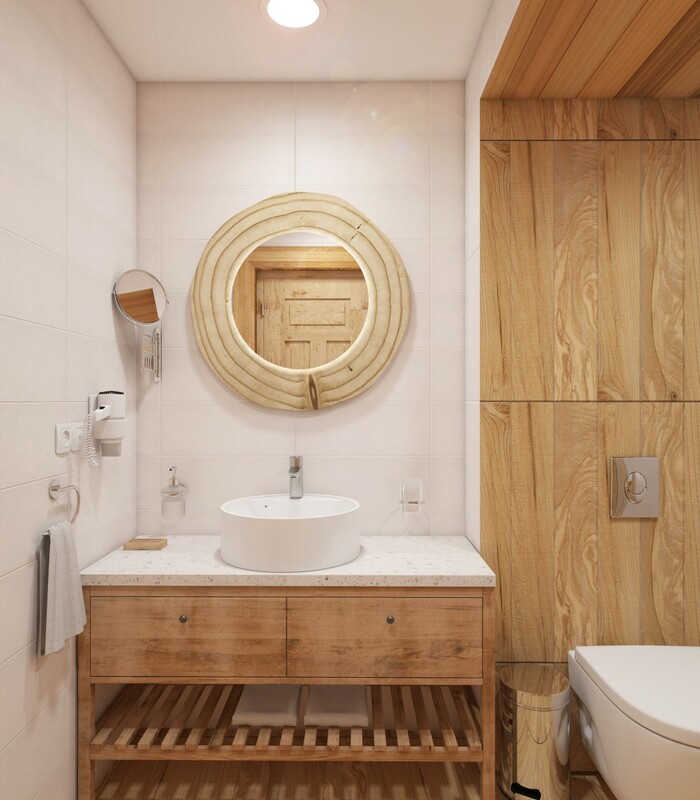 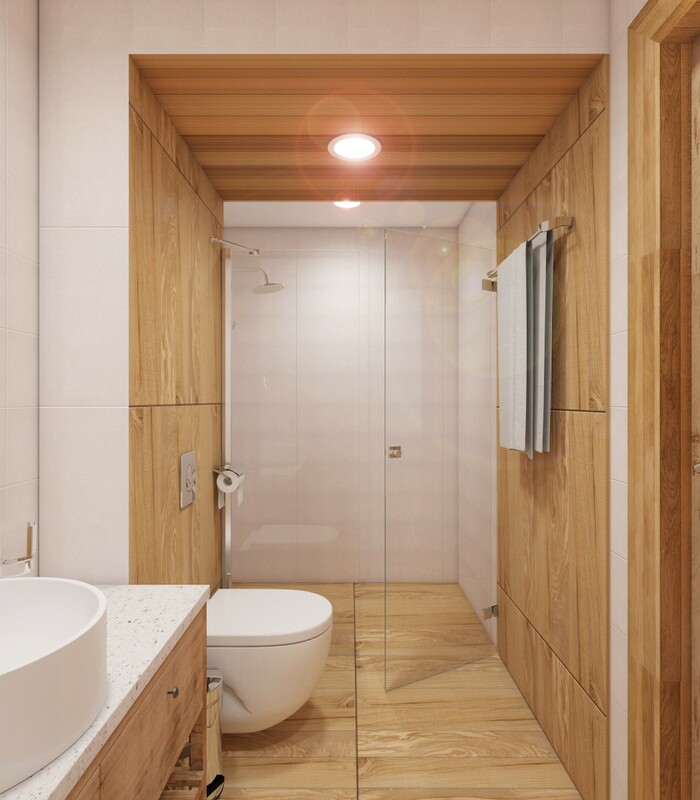 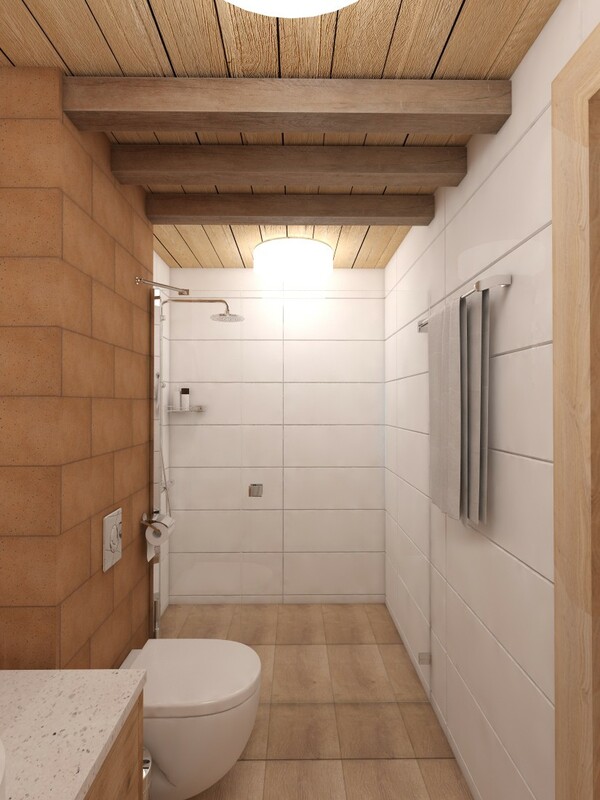 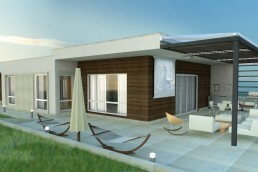 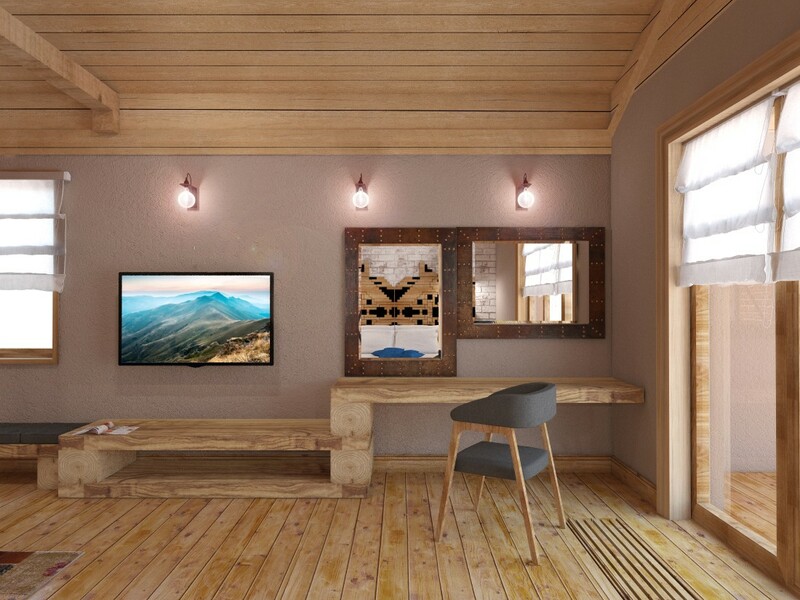 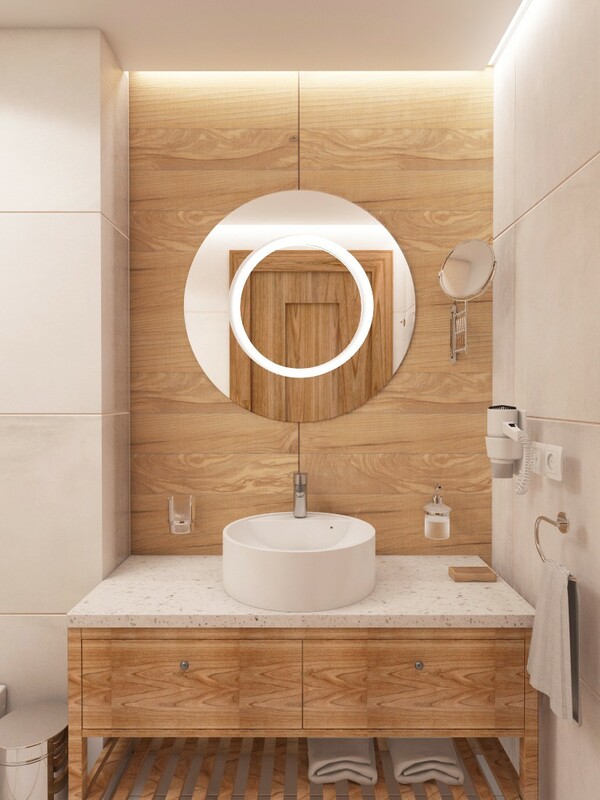 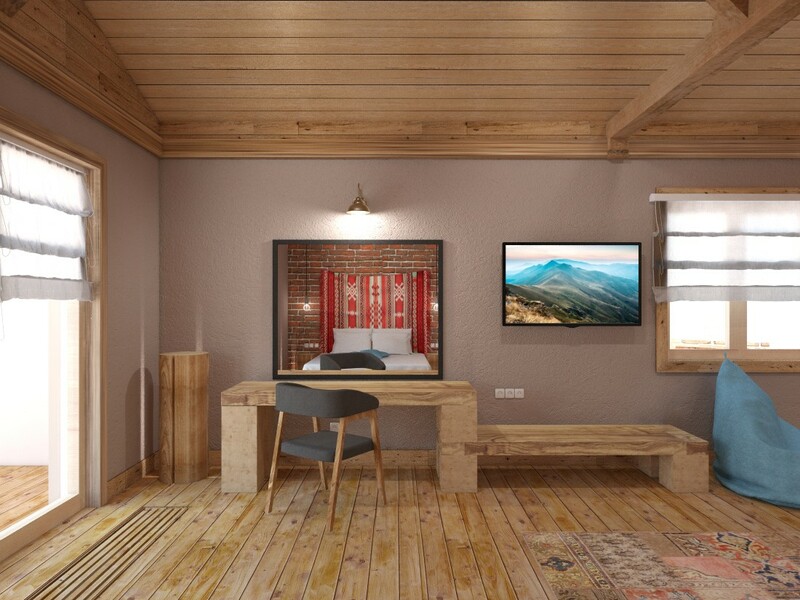 The published Projects refer to 3 separate houses, being part of Eco-Hotel Resort in Bulgaria, with total area of 115 m2 each. 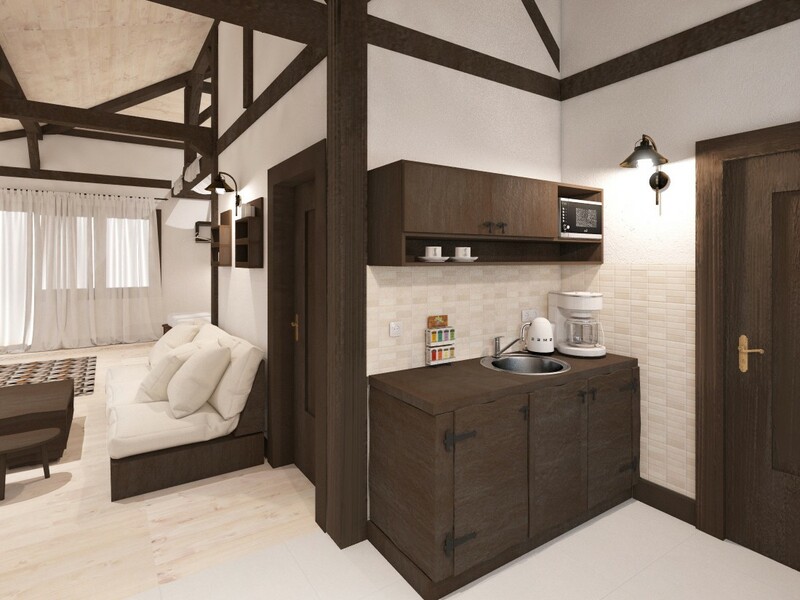 Every house consists of two symmetrical studios developed in one main material but each side being developed in a different way. 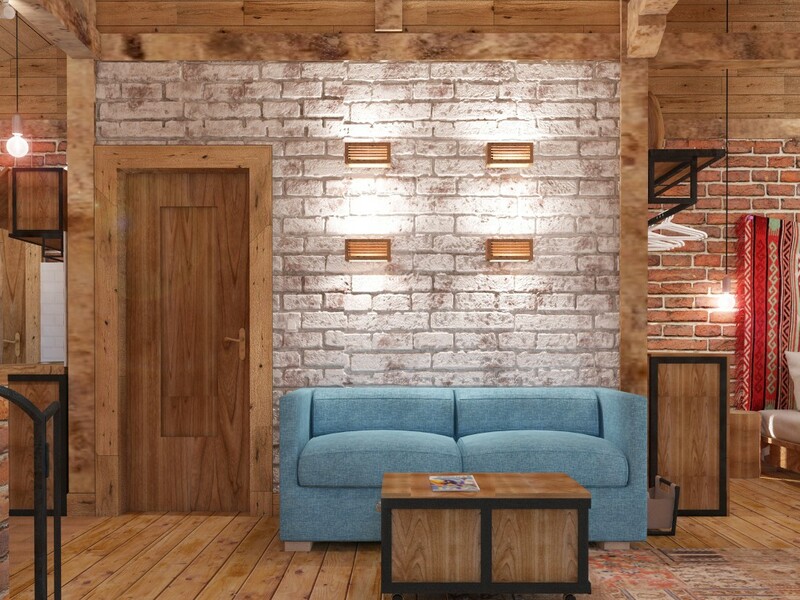 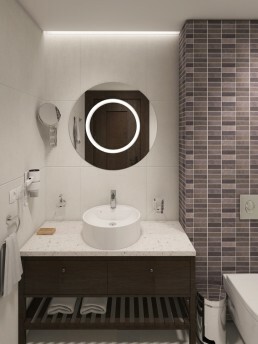 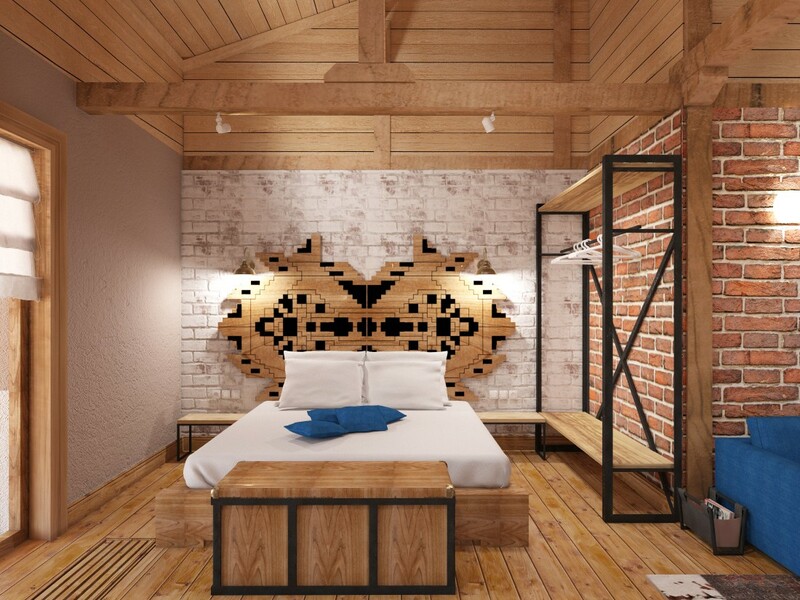 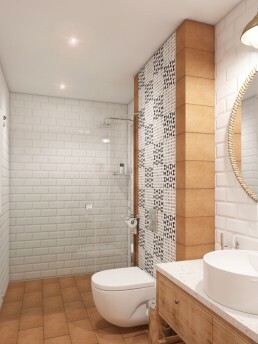 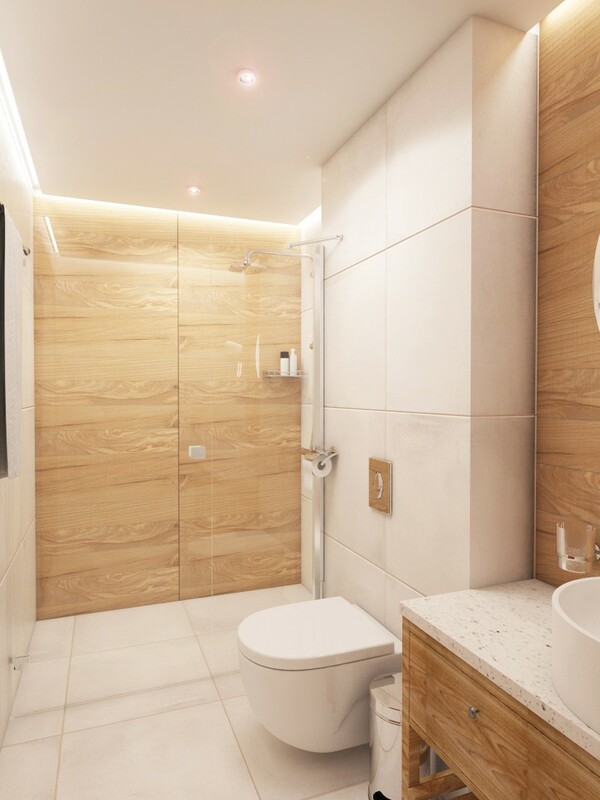 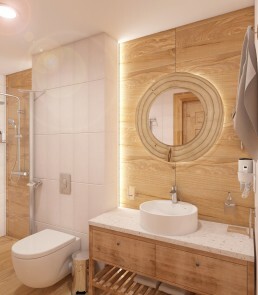 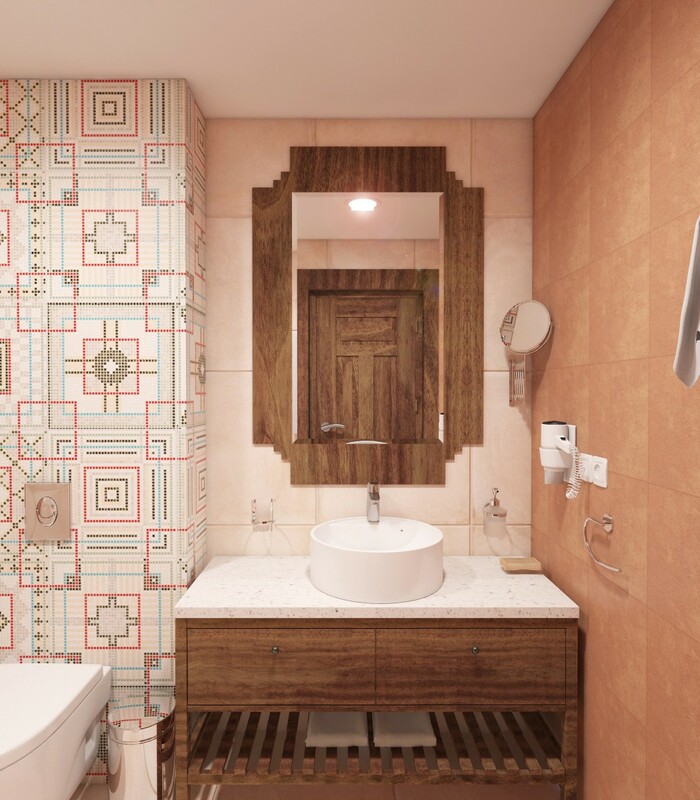 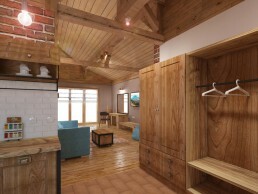 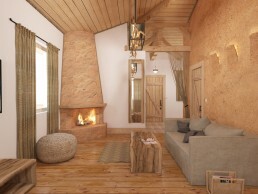 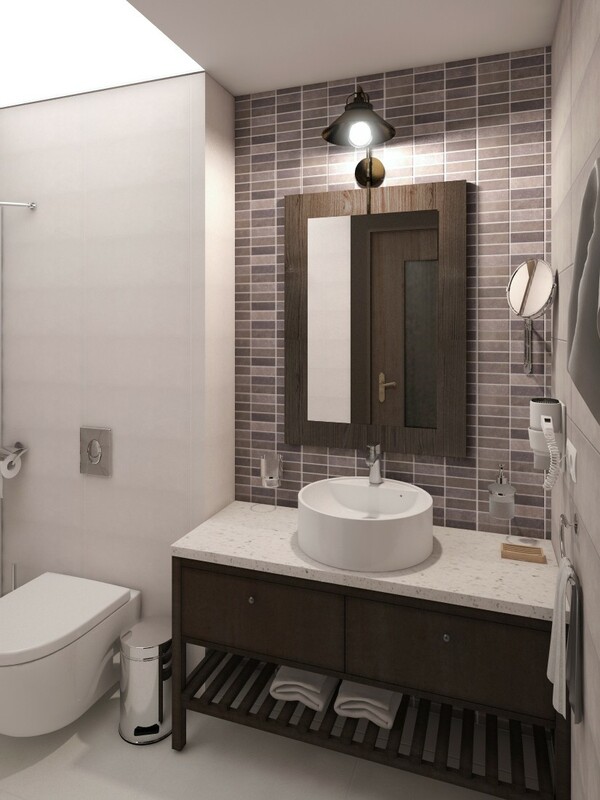 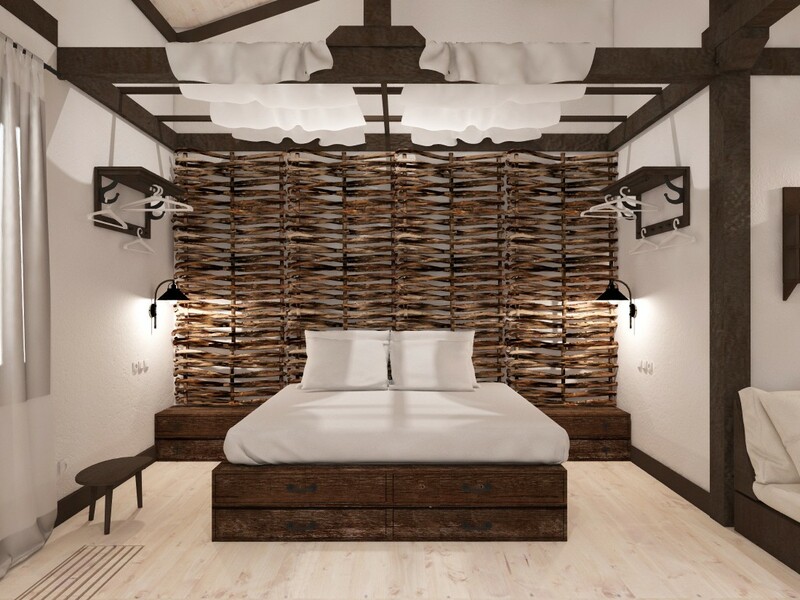 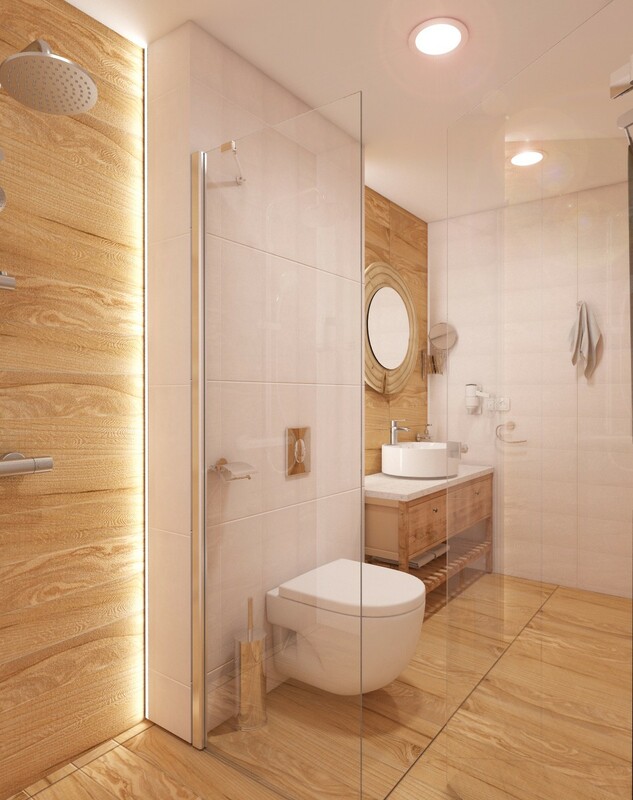 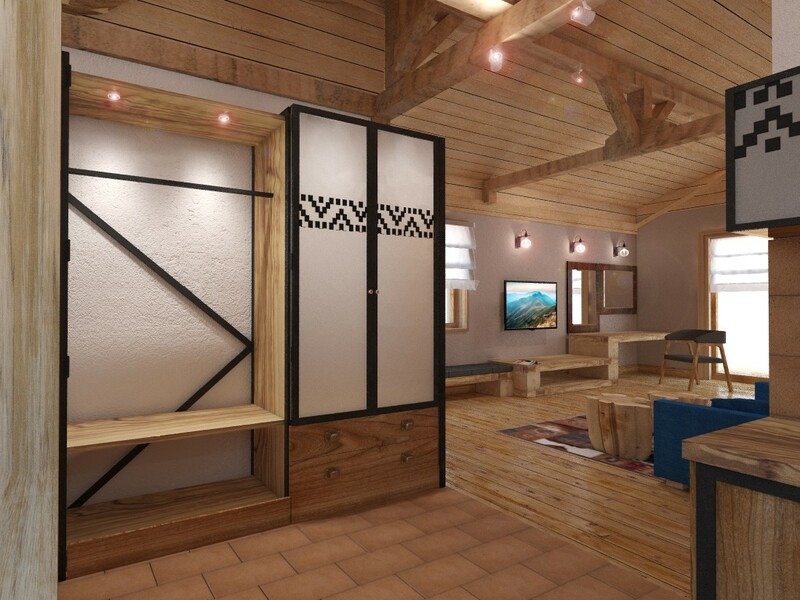 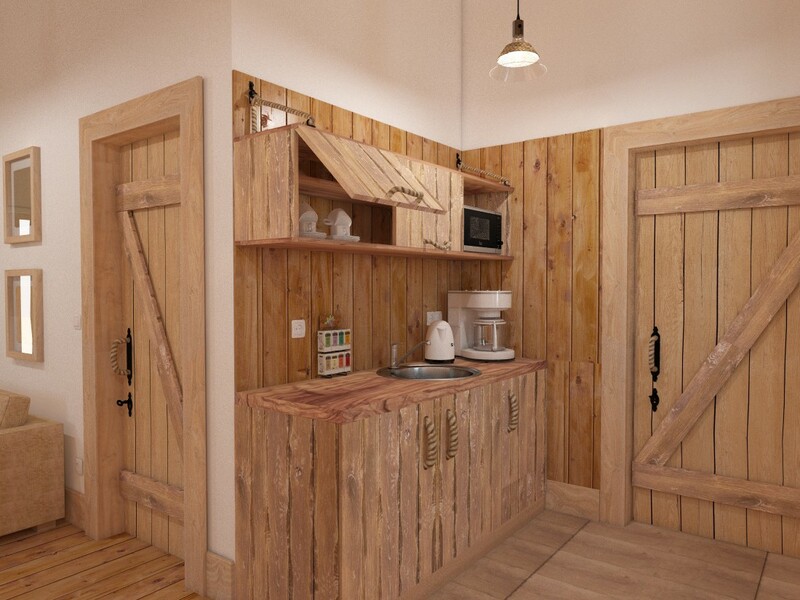 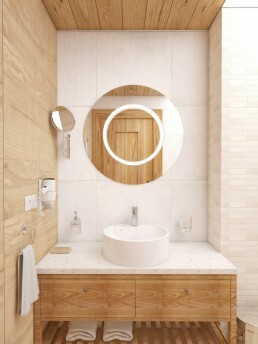 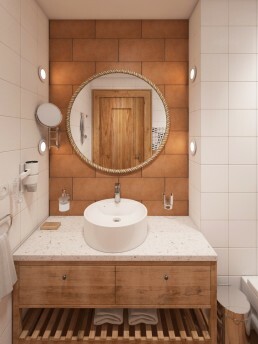 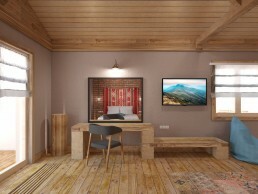 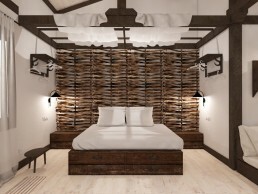 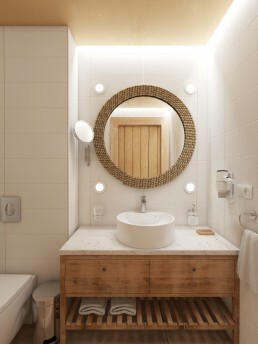 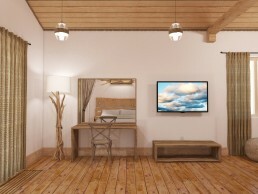 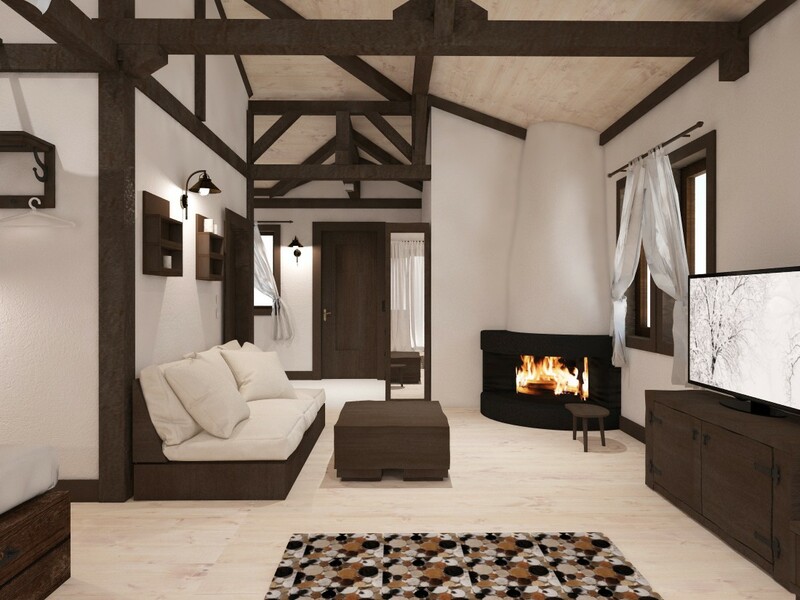 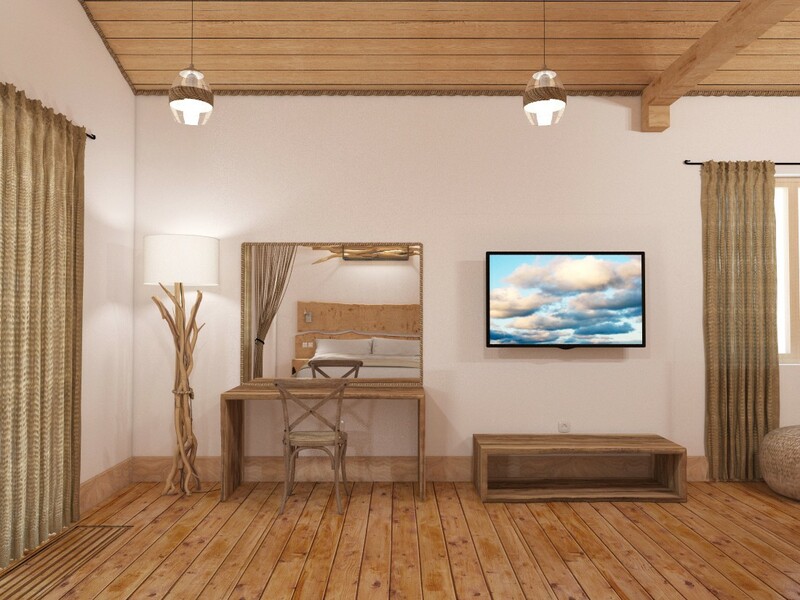 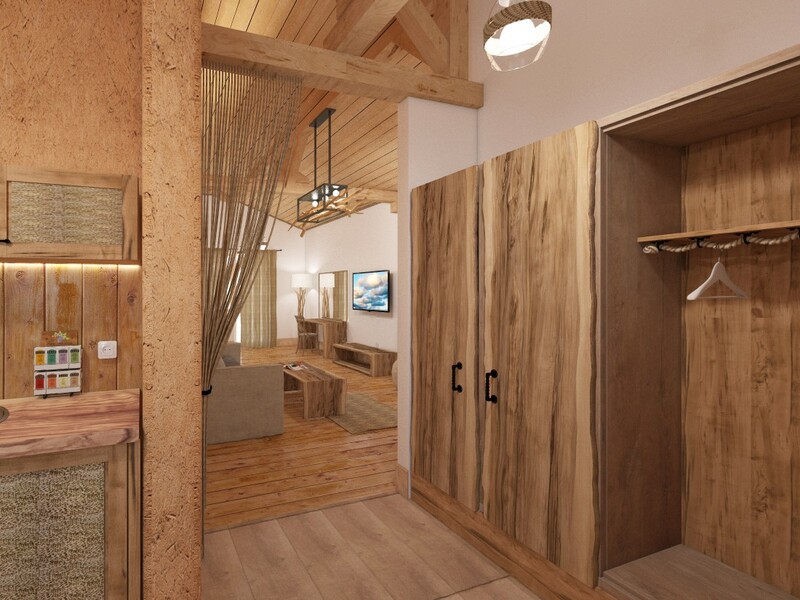 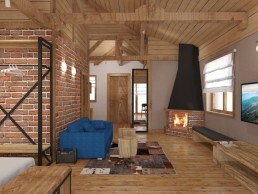 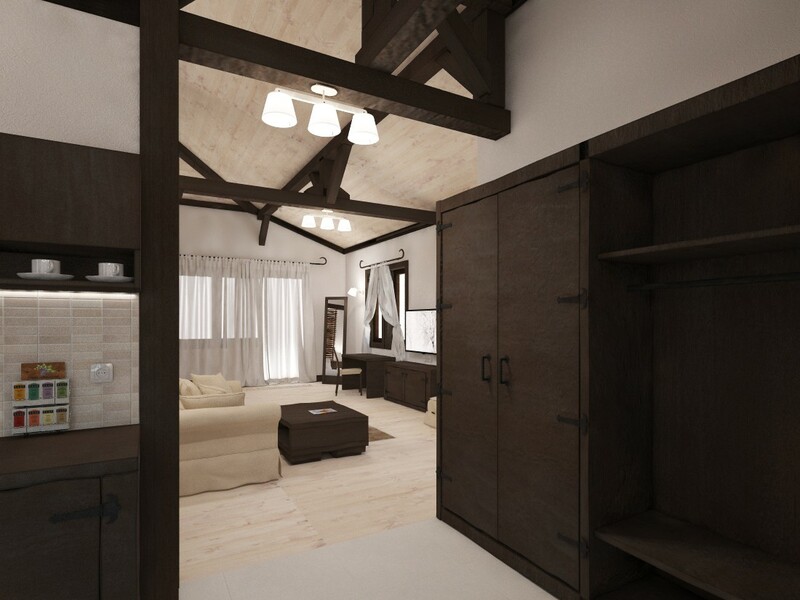 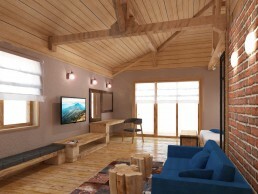 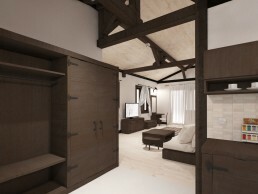 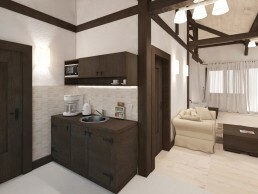 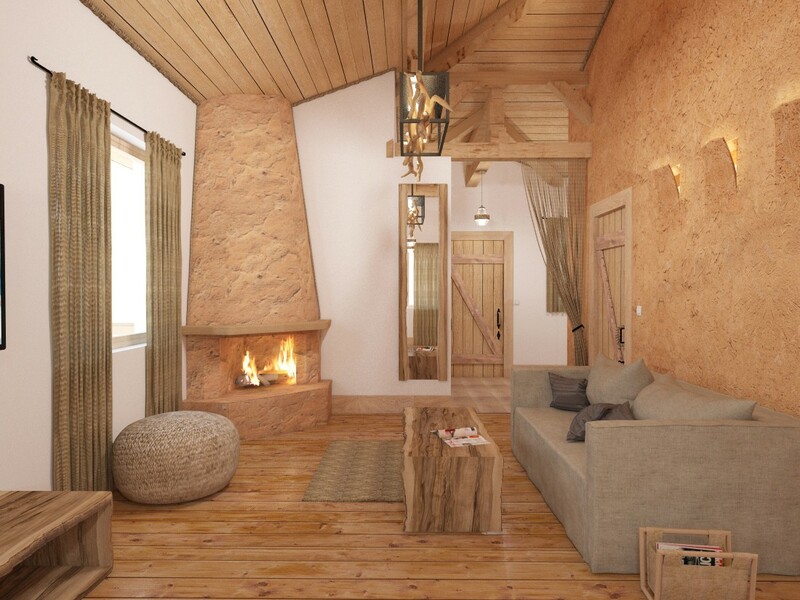 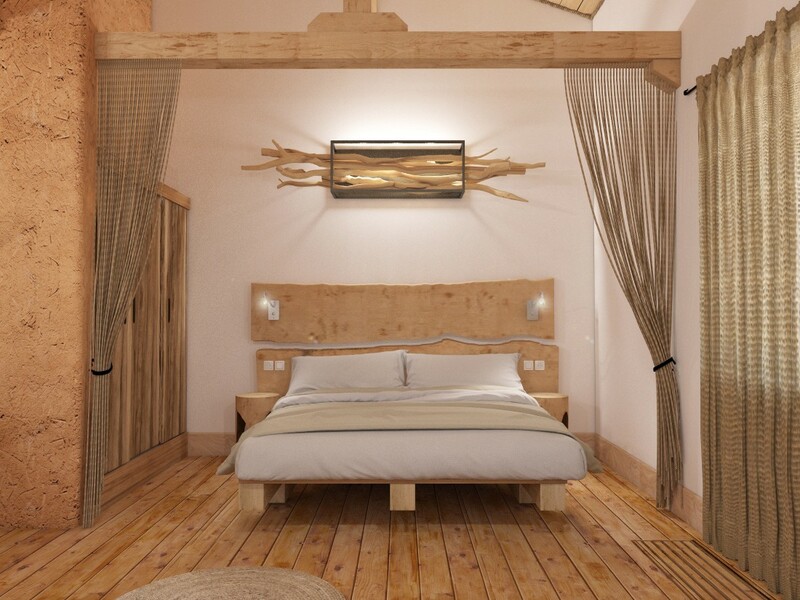 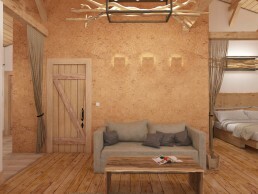 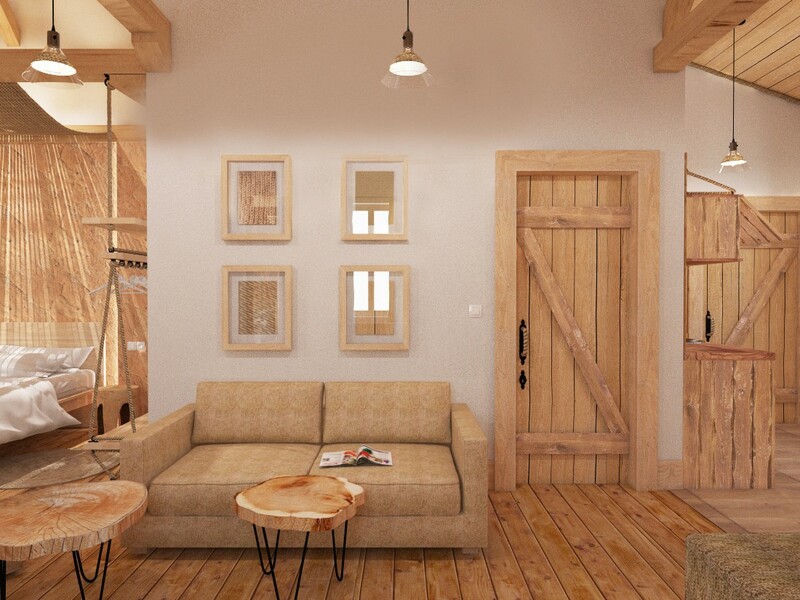 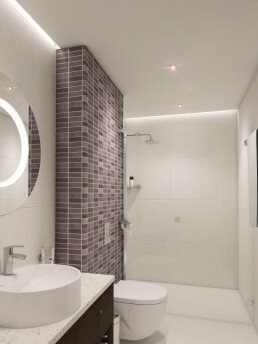 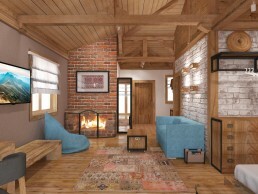 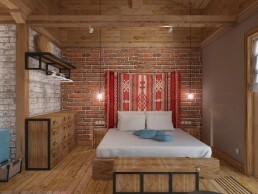 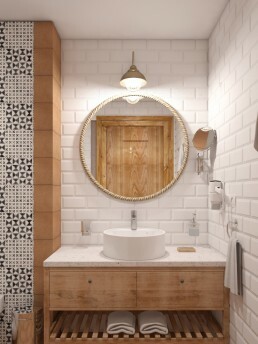 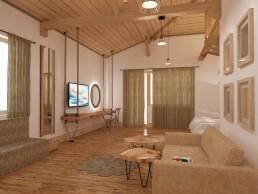 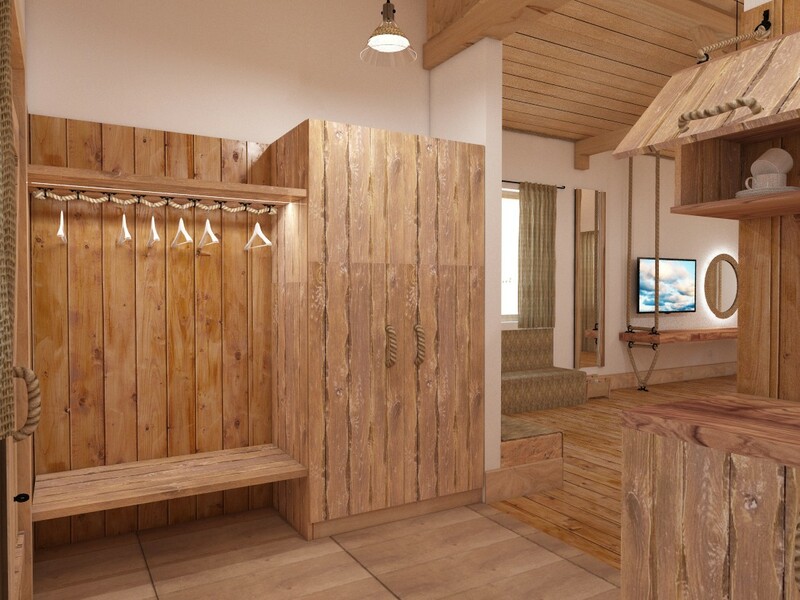 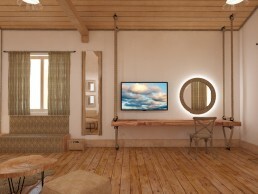 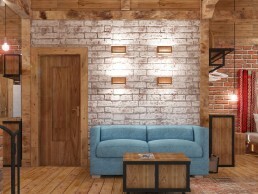 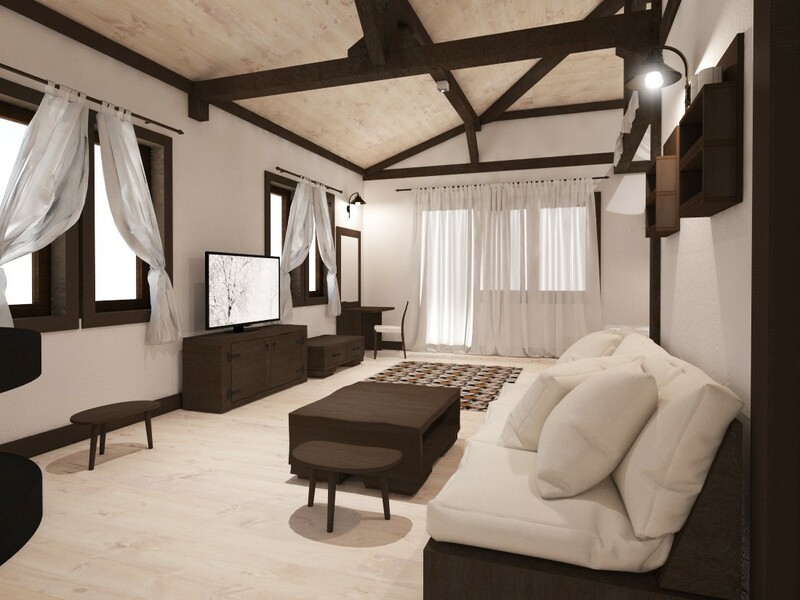 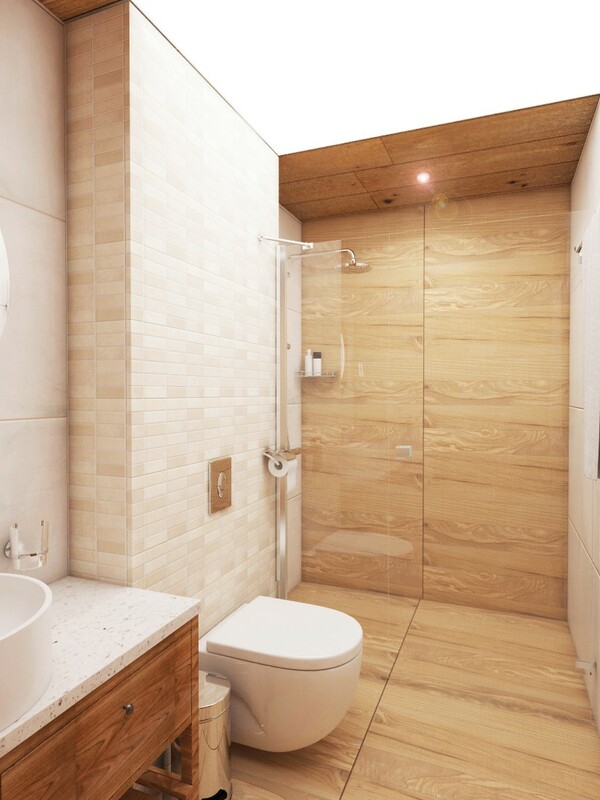 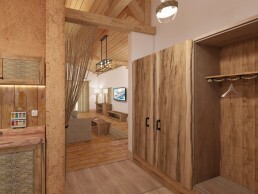 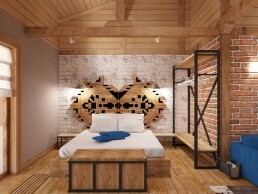 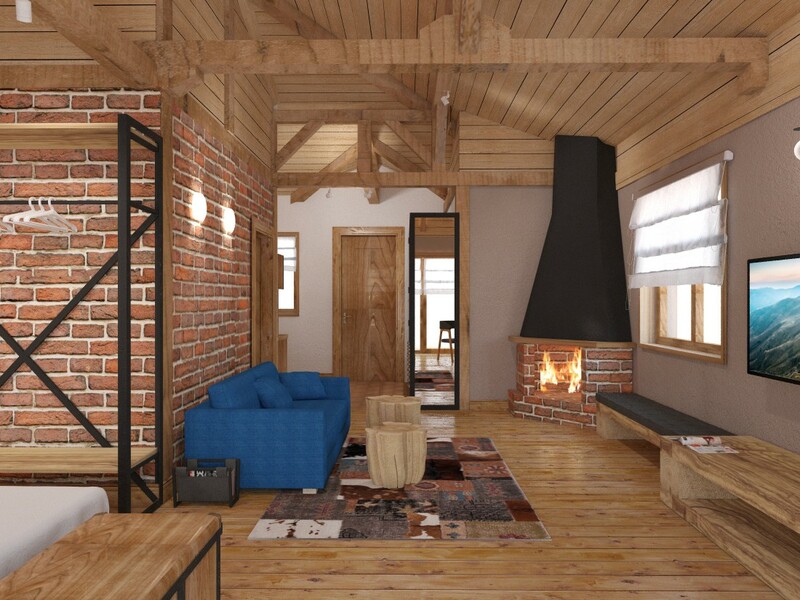 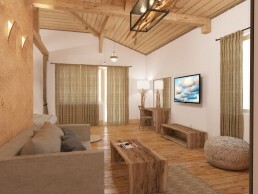 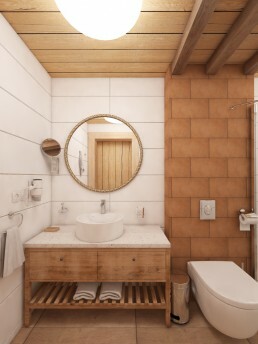 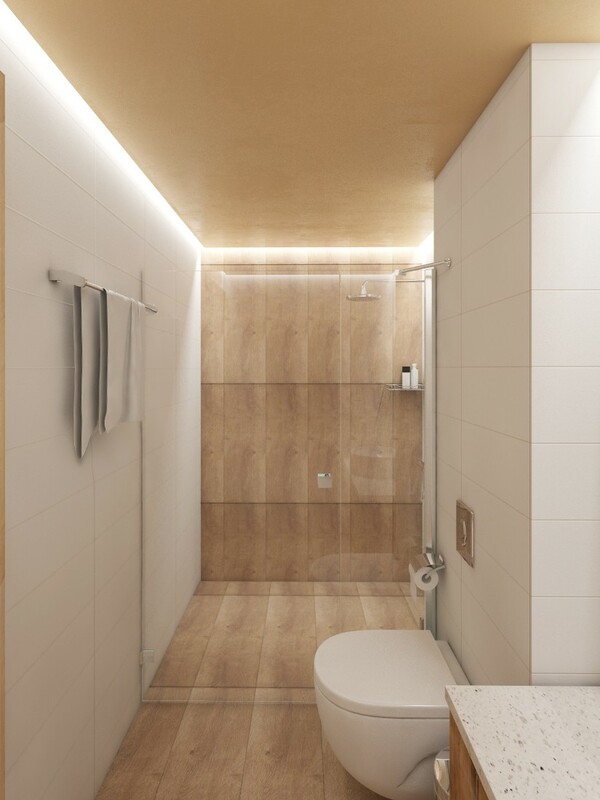 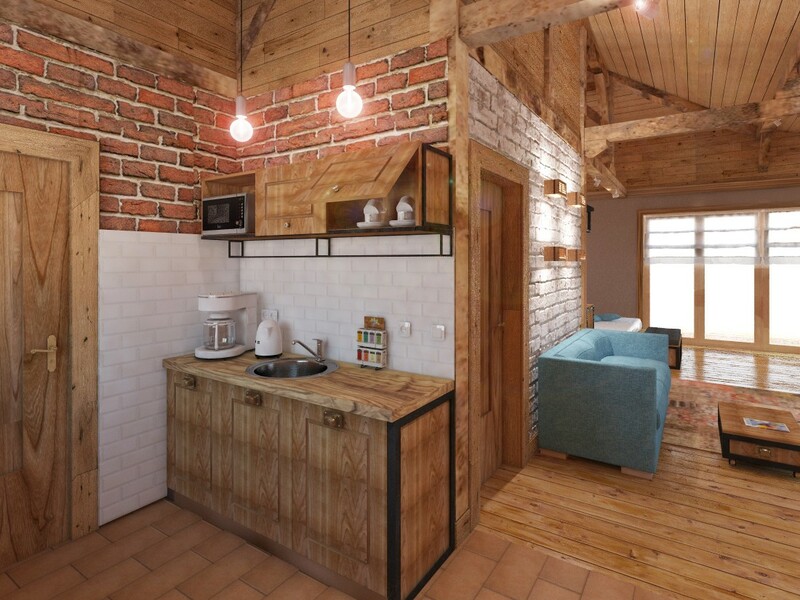 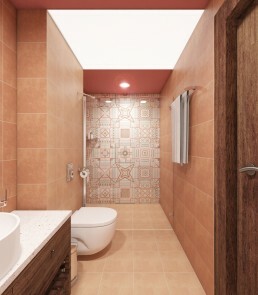 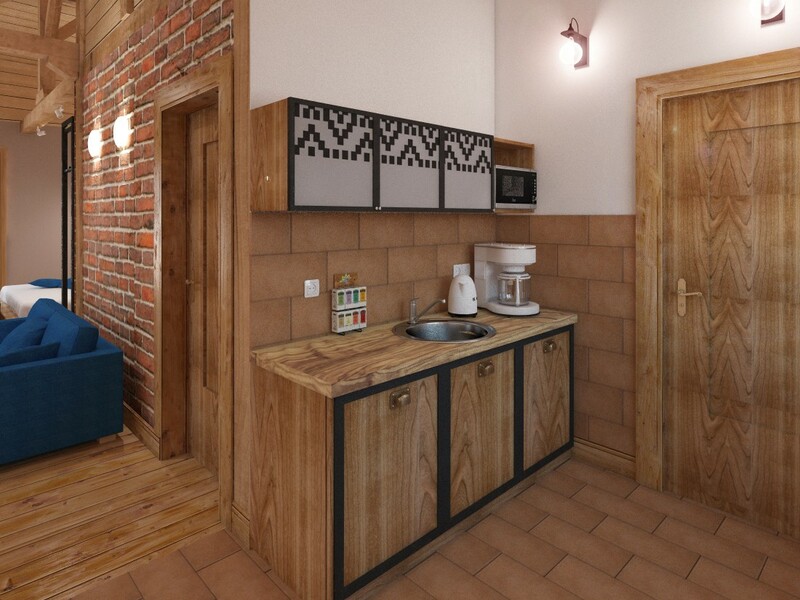 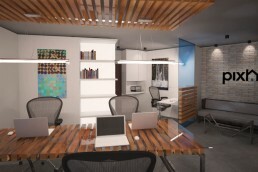 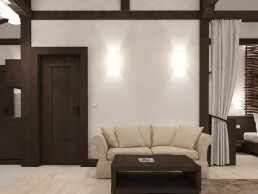 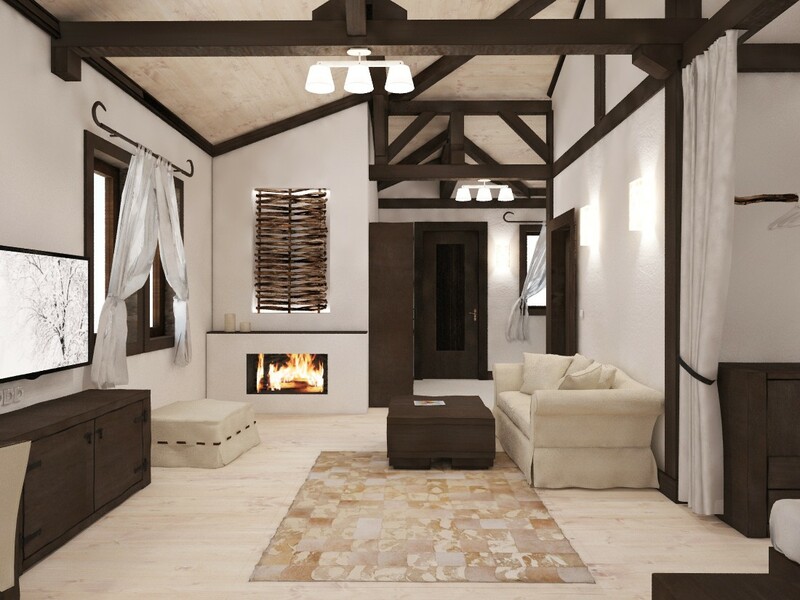 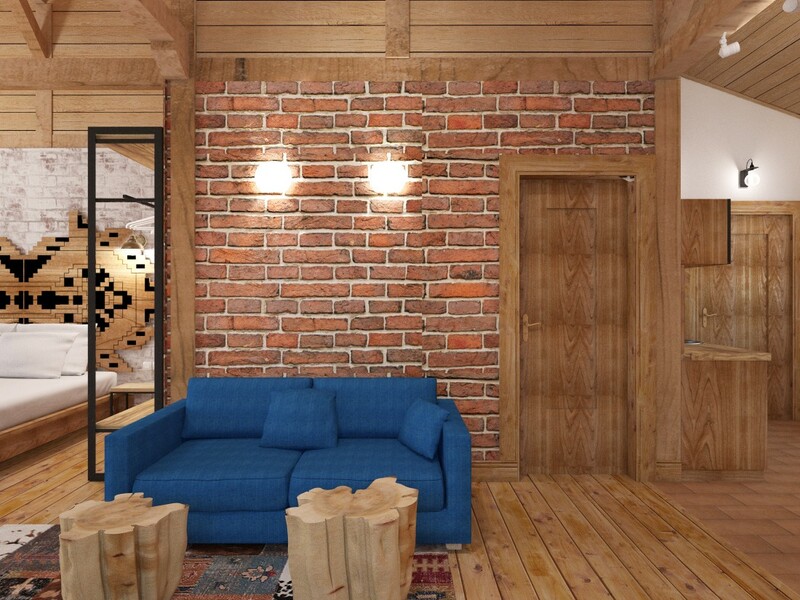 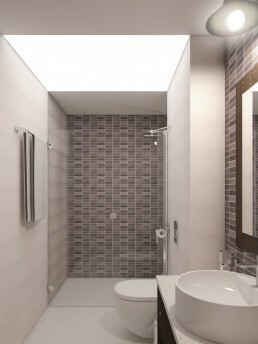 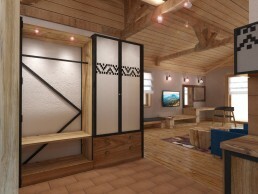 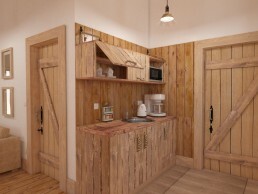 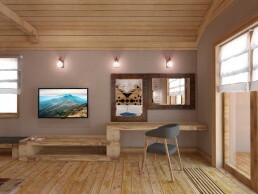 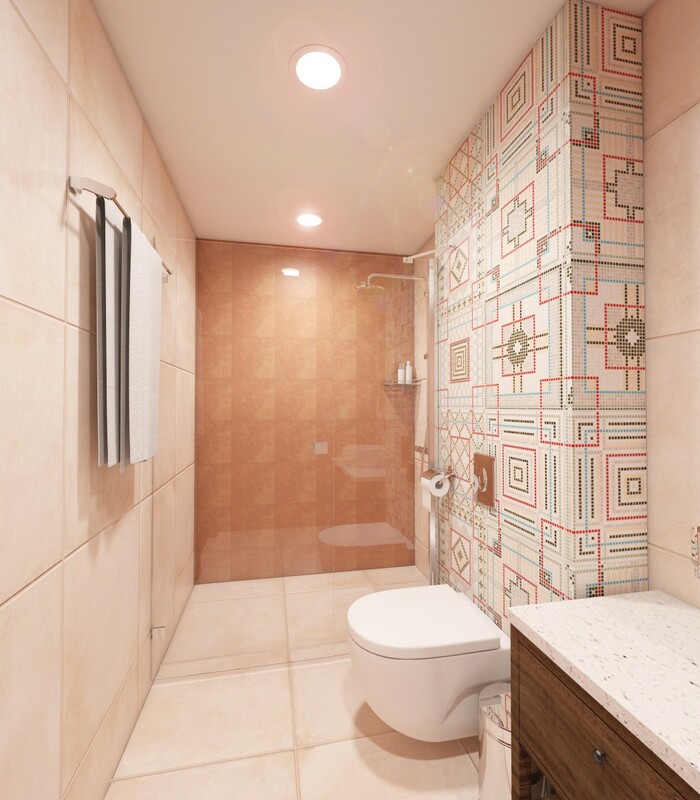 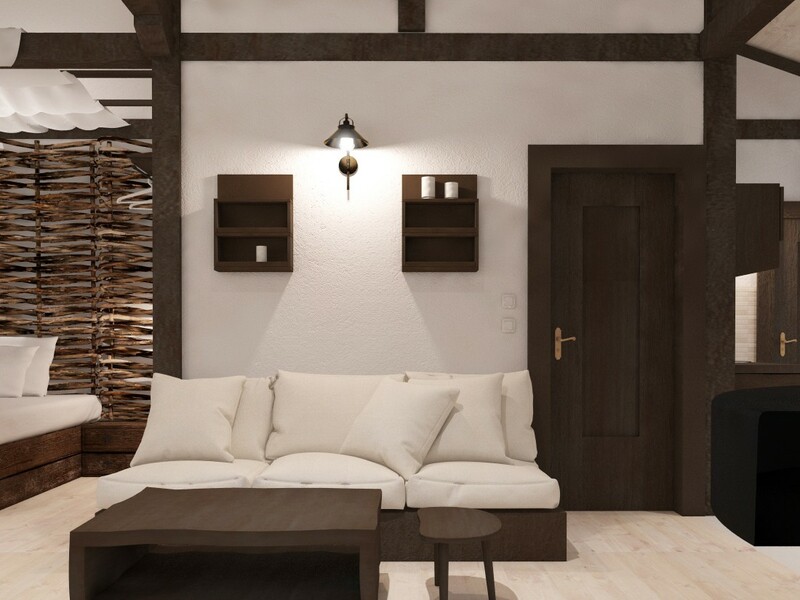 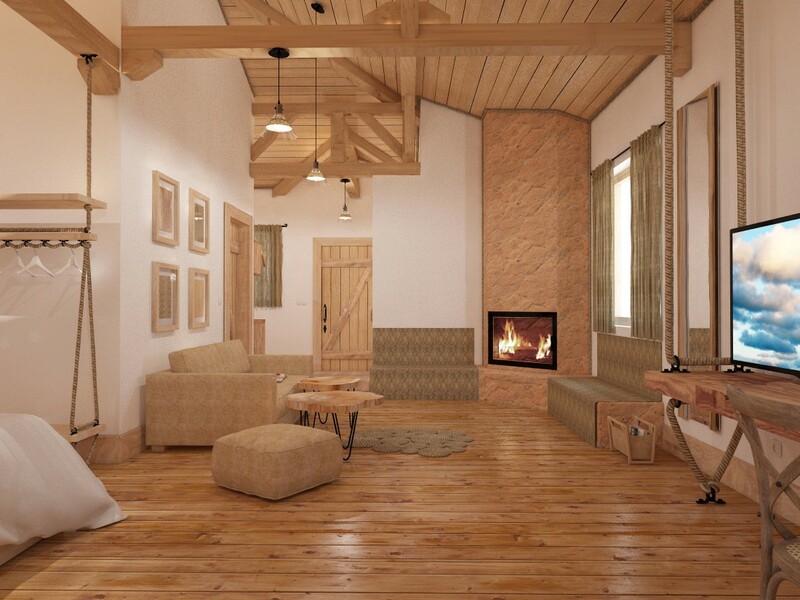 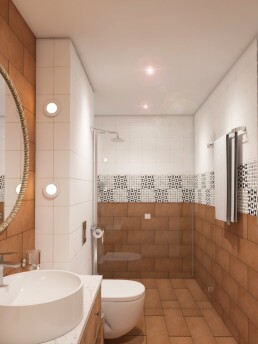 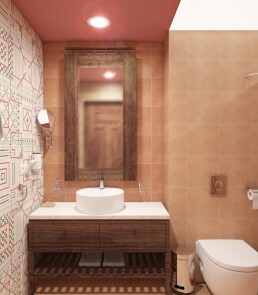 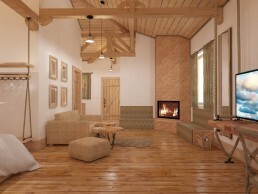 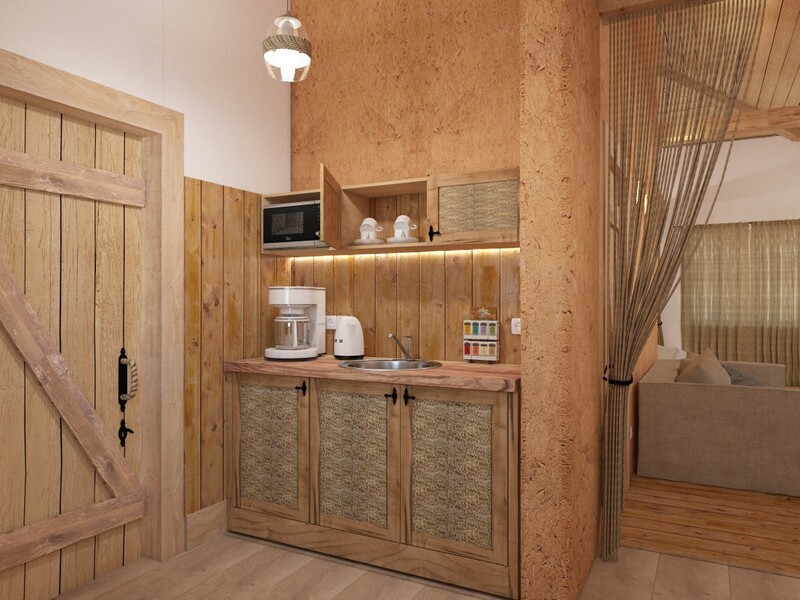 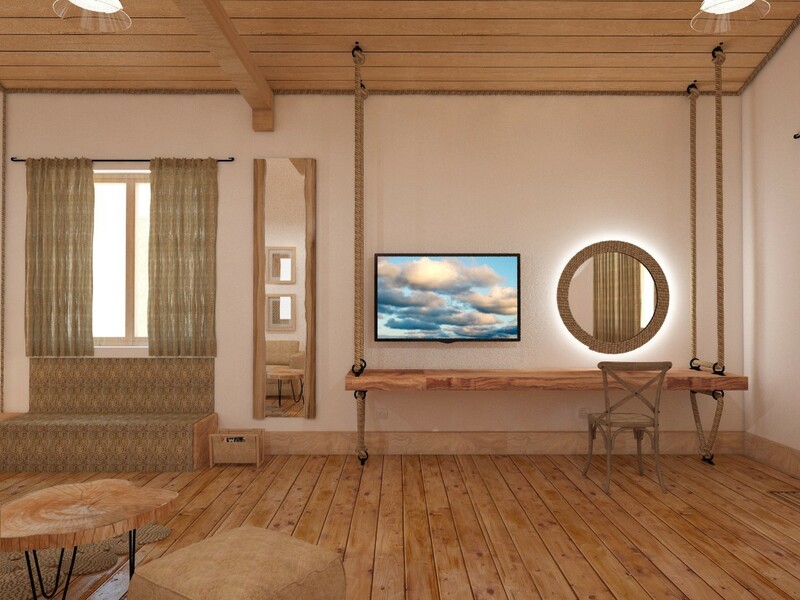 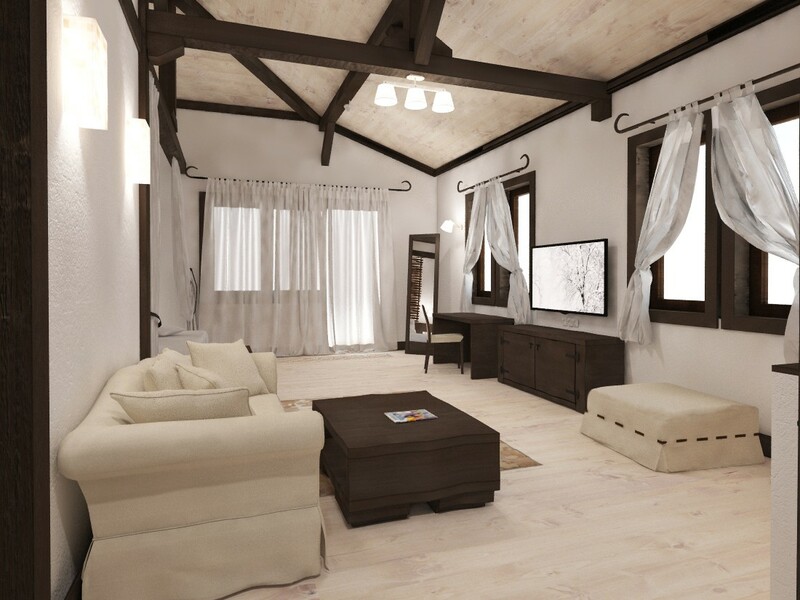 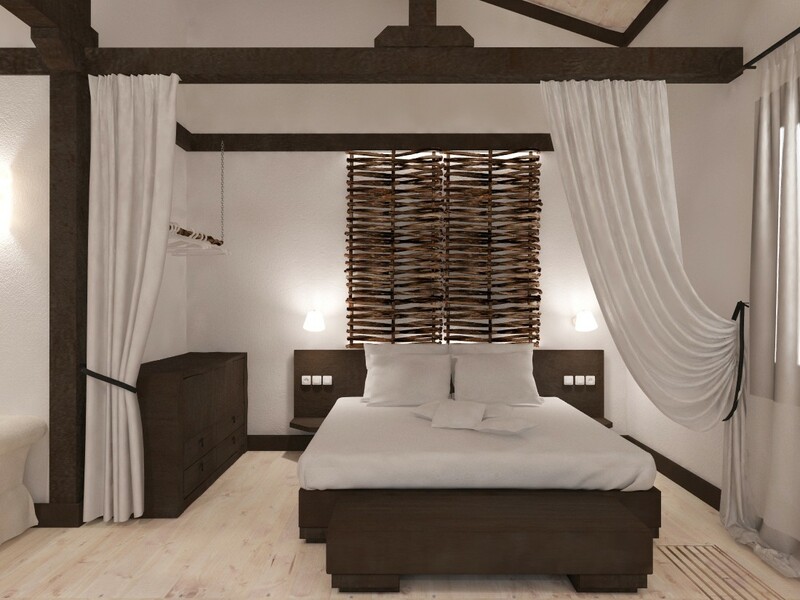 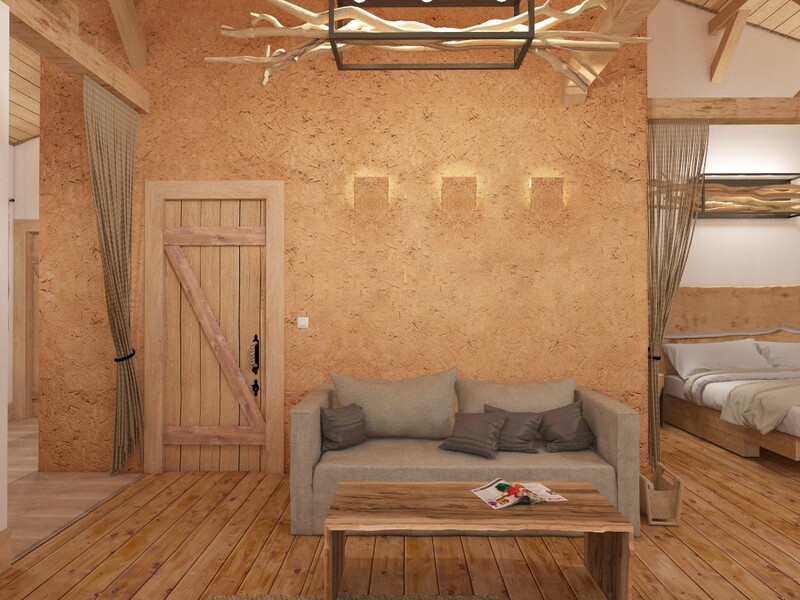 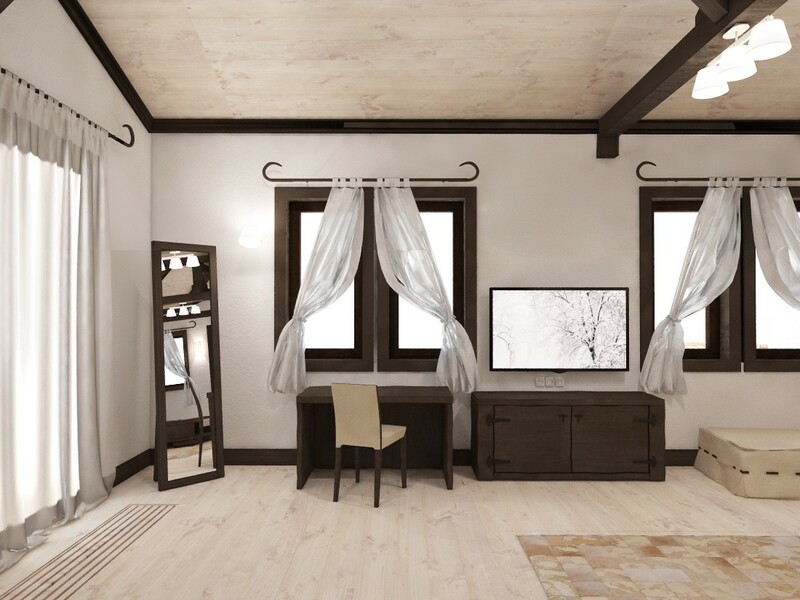 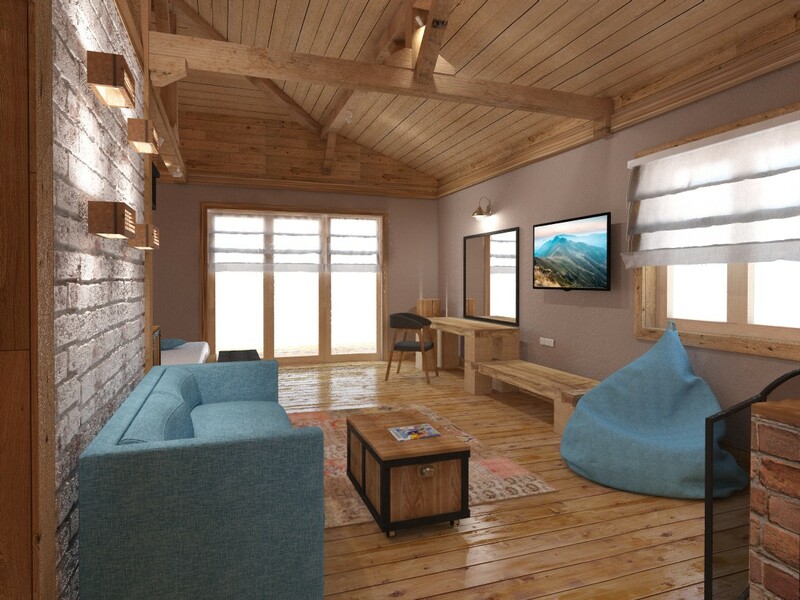 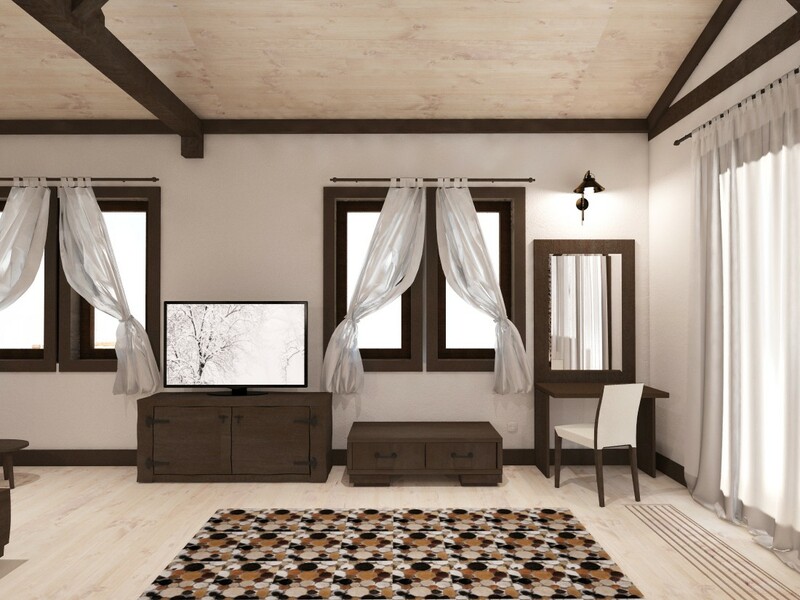 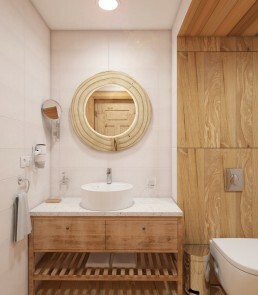 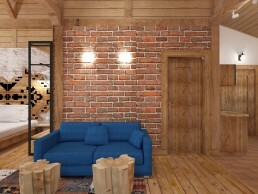 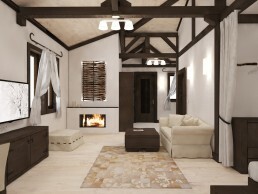 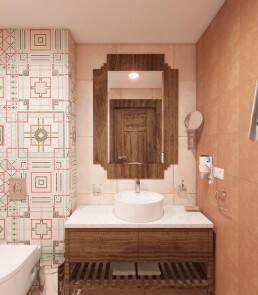 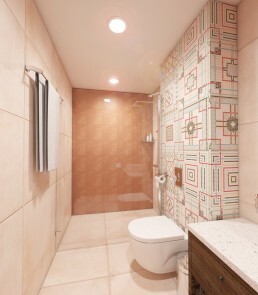 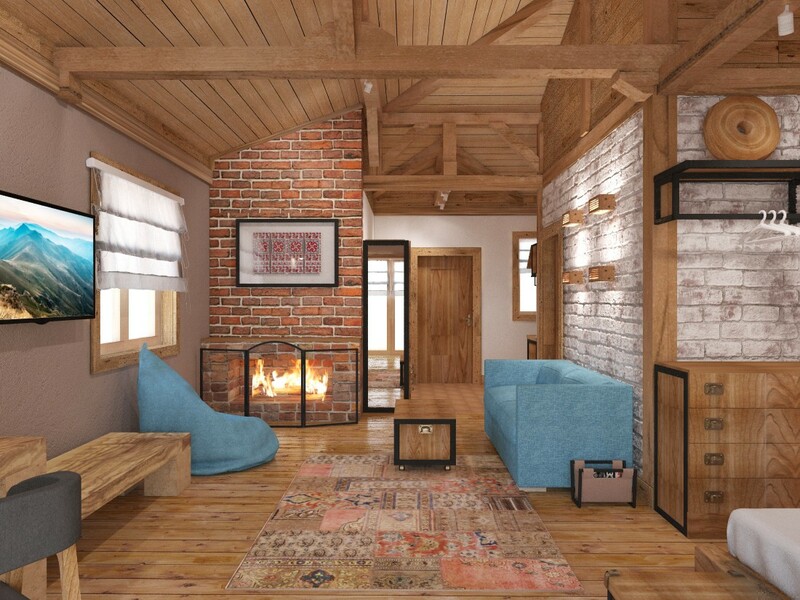 Main task was to adapt Bulgarian traditional interior styles to contemporary necessities of 4* hotel studios. Materials and techniques are exclusively based on different as raw as possible eco-materials.